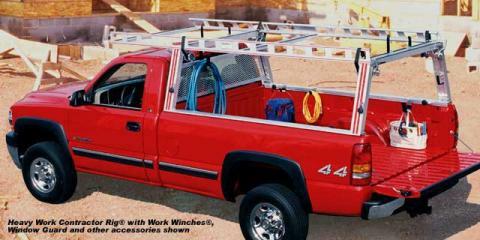 For your car and camper truck accessory needs, Hawaii Campers has everything you desire. 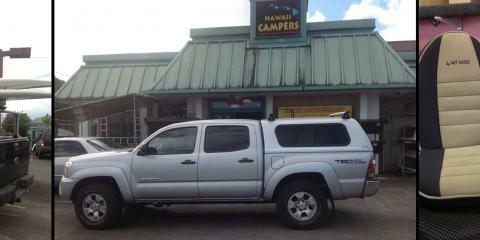 Established in Hilo, HI, in 1978 by Albert Zavarro, Hawaii Campers is the first camper store in the state, growing to become a full-service auto parts shop operating on all of Hawaii’s islands. Hawaii Campers offers a wide range of products for your camping vehicle, including trailers, window and rain guards, truck bed liners, camper shells, truck and car racks, floor mats and liners, and more. They also carry the most trusted car and truck accessories brands, such as Thule®, Wet Okole, Tonneau, WeatherTech®, and ClearSpan. In addition to everyday car and truck accessories, Hawaii Campers offers auto supplies for performance racing. They carry the biggest brands when it comes to body kits, wheels and tires, exhaust systems, neon kits, and more. With nearly three decades of business experience and expertise, Hawaii Campers knows the needs of their customers and always puts them first. They offer the highest-quality products at the best prices possible and encourage their clients to give them a call if they’re experiencing trouble with any product they purchased. Customers have the option to stop by their auto parts store to have specialists assist them with their needs or have the products shipped statewide at no additional cost. With Hawaii Campers, you can always depend on first-rate auto parts, low prices, and expert service. If you’re looking for camper shells or accessories for your vehicle, this one-stop-shop surely has everything you need. Contact Hawaii Campers at (888) 935-8349 or visit their website to learn more about their products and services.